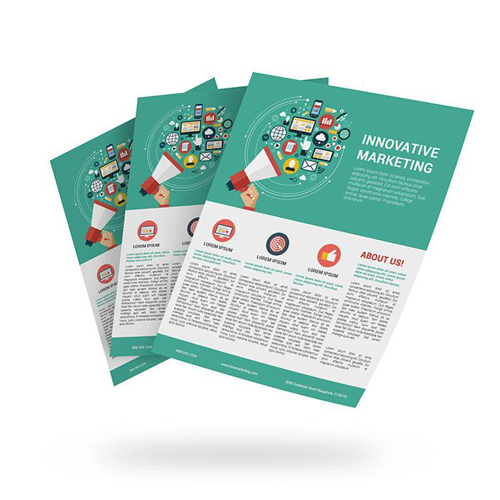 Sell sheet printing is a powerful way to attract attention to your brand. When you spotlight your products and services on a marketing sell sheet, it practically does the selling for you! Sell sheets are available in a variety of sizes with 8.5” x 11” being the standard. They come as small as 4” x 6” and as large 11” x 17”. Need a unique size? No problem. You can get a custom quote for exactly the size you need. We offer matte, gloss, and UV coatings. If you’d really like to add some shimmer to make your brand really shine, try our metallic printing! Whatever options you choose, count on 48HourPrint.com for high quality sell sheet printing. We print and ship fast, too. Try our sell sheet templates with your own design application for an easy printing experience.